Cook pasta according packet instructions, drain and reserve some cooking water and put aside. Preheat oven to 180 degrees. Place kale onto a baking tray, drizzle with olive oil and sprinkle with seasoning salt. Bake until the edges brown but are not burnt, approximately 10 to 15 minutes. Set aside. Place a large pan on low/medium heat and add pancetta, Cook until crispy and set aside. With the same pan on low/medium heat add, garlic, chilli flakes and asparagus, cook until asparagus has softened. Adding a few tablespoons of pasta water to loosen if needed. Add pasta, parsley to pan and stir through until consistent. 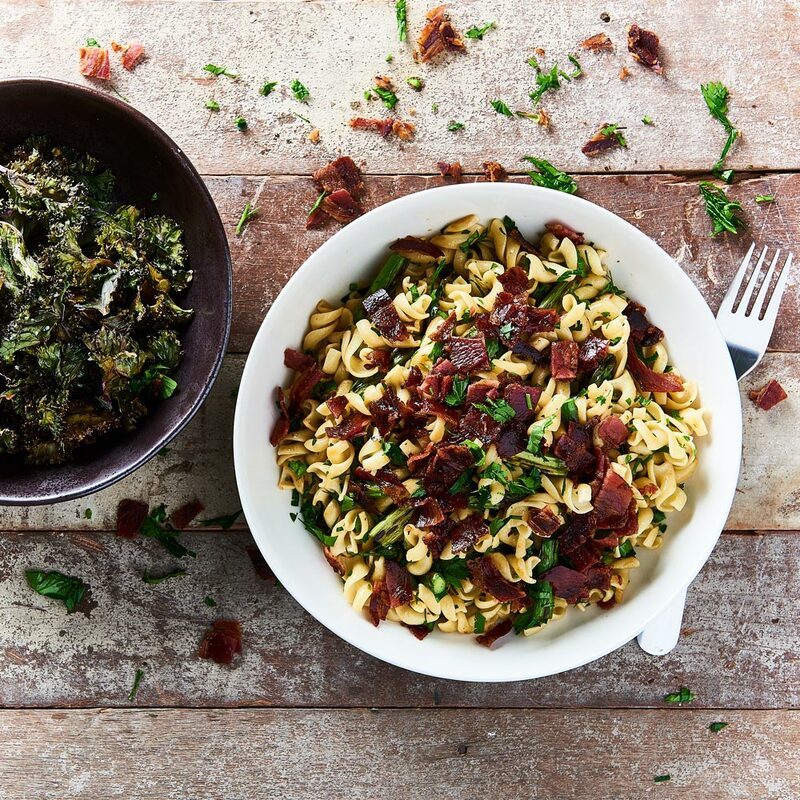 Serve with a good sprinkle of pancetta, cracked pepper and a side of kale chips.